Start with smaller hikes and build your pup’s endurance over time. Be sure to take warm weather into account. You may not be able to go as far when it’s hot. Be sure to bring lots of water!!! Another great reason to bring you own water is to discourage your dog from drinking from ponds or river water that may contain giardia . Bring a leash just in case. Some trails require that your dog is on a leash. 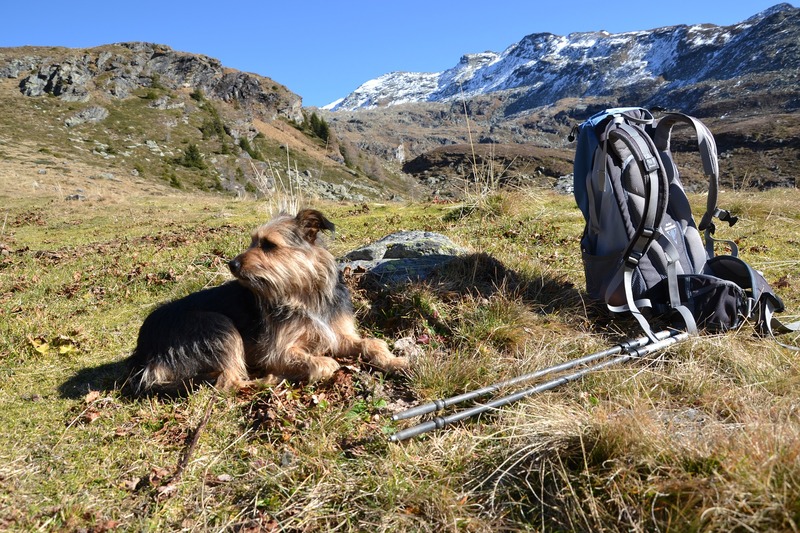 Even the best dogs can get distracted by wildlife and other hikers, so you will definitely want a leash handy if your dog is too excited to come when called. Make sure your Leptospirosis vaccine is up to date. Dogs can contract this serious illness from wild animal urine that is in water and on plants. Make sure you have given your dog his monthly heartworm preventive medicine. The mosquitos are definitely out in full force this time of year. Don’t forget your poop bags!